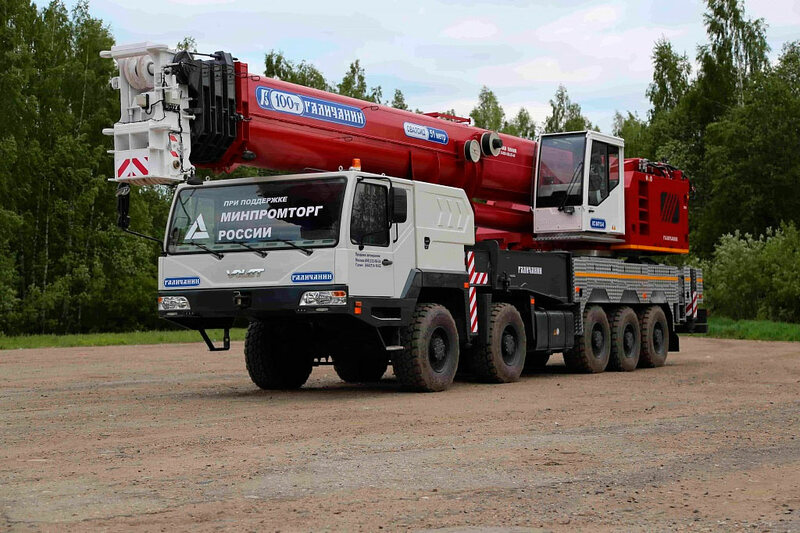 In May 2018, MZKT showed a special chassis MZKT-750001 10x10 for mounting a 100-ton supercrane KS-84713-6 made by Galichsky Autocrane Plant. MZKT-750001 is equipped with a diesel engine YaMZ-653-05 with a power of 420 hp and torque of 1985 Nm, which meets the Euro 5 environmental standards. The crane KS-84713-6 has a 5-section telescopic boom of elliptical profile 51 m long.